The Huron River is vital to the quality of living in lower Michigan. The River is a classroom, practice facility, and “playground” for paddle sports; the river provides opportunities for people of all skill levels to enjoy kayaking, canoeing, and rowing. 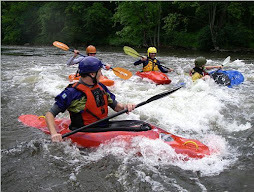 There is potential to expand the whitewater kayaking resources on the Huron River. New whitewater in lower Michigan will make Ann Arbor an even more attractive destination for paddle sports enthusiasts. An organized and pre-scripted group of Ann Arbor rowers dominated the first of three public information sessions hosted by the City of Ann Arbor. As http://www.huronriverpaddlers.blogspot.com/ followers know, these meetings are designed so the public can comment on the future management of Argo Pond, Argo Dam, and the Huron River as it flows through downtown Ann Arbor. Wednesday night's session, however, was not a session where public comments could be shared freely. The meeting facilitators--members of the Huron River and Impoundment Management Plan (HRIMP) Committee--attempted to manage breakout sessions devoted to three management options: total dam removal, a hybrid dam replacement with downstream whitewater, and repair of the existing dam infrastructure. Session attendees were asked "what do you like," "what are your concerns," and "what would you do differently." About 50 people, a mixture of high school students, parents, coaches, and Ann Arbor residents, attended each session. But only the members of the rowing community could be heard. "Can't you walk somewhere else?" was the response of one student rower reacting to resident's concern that bullhorns and motorized activity associated with rowing are a disturbance during his strolls along the impoundment. Rowing enthusiasts instigated a discussion about the possibility of toxins, like Mercury, that may reside in the ever-increasing sediment build-up behind the dam, suggesting that dam removal would force the community to face a potential toxic clean-up. One rowing parent could not understand the need for restoring the river's natural function--to move water and carry sediment, something that dams prevent. A rowing coach argued that removing the dam would result in less public access to the Argo stretch of the river. 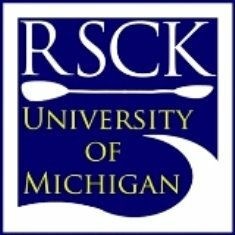 While the supporters of rowing made statements that devalued other forms of recreation, suggested that toxins left alone will never be a problem, and argued that an estimated 27 acres of new park lands would result in fewer opportunities for public access, many non-rowing voices went unheard. The sad reality facing wading anglers, bicyclists, birdwatchers, walkers, joggers, and swift water paddlers is that there is no data to support that restoring riparian corridors along the Argo stretch of the river would result in greater use by these groups. In fact, the only data the City has used to evaluate recreation on the river resulted from the following: an online "angler survey" (less than 300 respondents), City canoe livery figures, and information directly from the rowing community. Paddlers, I urge you to attend the remaining two public meetings and to share what you like about the proposed plans, what your concerns may be, and if you think the City needs to take a different approach. The HRIMP Committee members are eager to hear your voice. Right now, all the Committee members are hearing is "row, baby, row." Support Whitewater - Send a Letter! While an undergraduate in the School of Natural Resources at U of M, I found myself drawn to the Huron. As a fisherman, amateur naturalist, and canoe paddler, the river was my break from the rigors of studying, exams, and a full-time job. 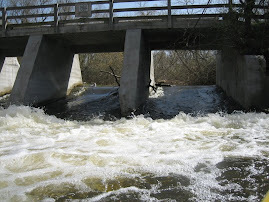 During spring of my third year, I watched members of the local kayak club play in the rapids below the Delhi bridge. The experience inspired me to purchase the equipment and start training to become a whitewater paddler.